Khloe Kardashian Cookie Jar – A ‘Celeb Steal’! 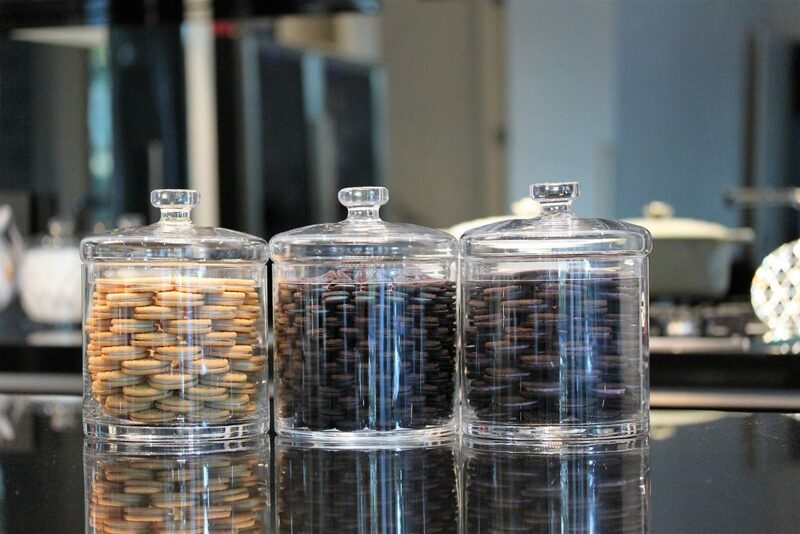 Everybody by now must know about the famous ‘Khloe Kardashian Cookie Jars’ – if you’re not familiar these are what they look like! Whether you chose to use them as an eye catching decoration, or a fully functional cookie jar, there’s no denying these jars make a statement! 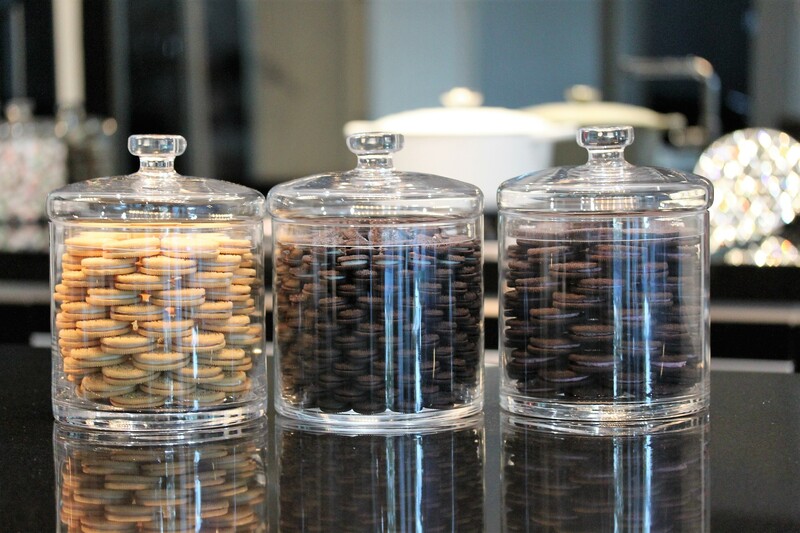 They are such a fun and simple way to accent your kitchen! Now we’re going to show you how you can achieve the look for $14!! How great is that?! And better yet, it’s simple and fun! 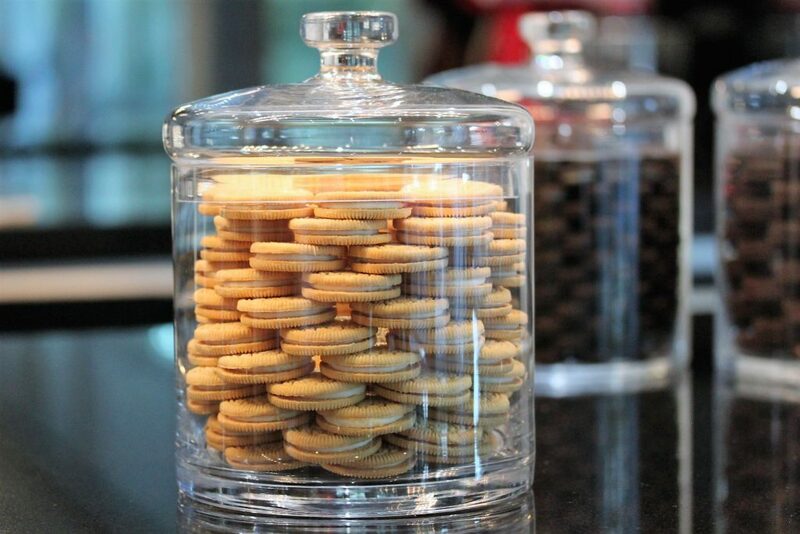 For this project we’ve used the ‘Straight Glass Jar’ – $8. 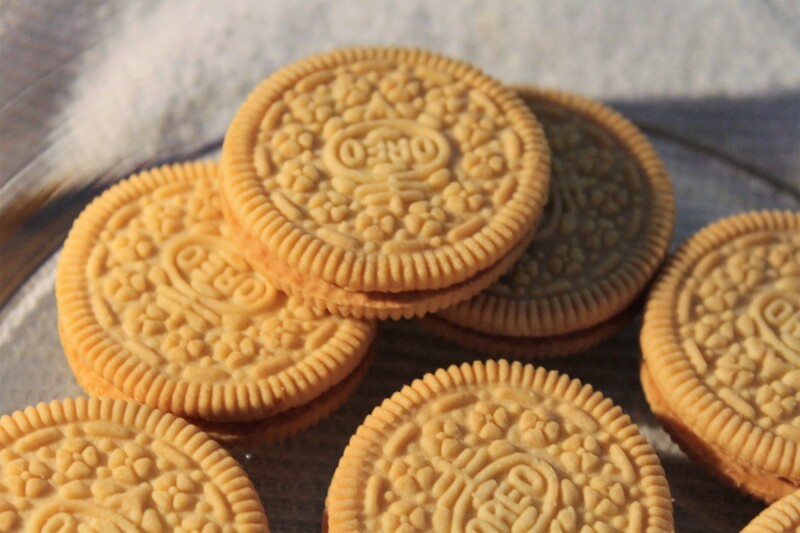 If you’re doing the regular sized Oreo cookies, you’ll need six packs. We found these at two different stores both selling for .99 cents a pack. 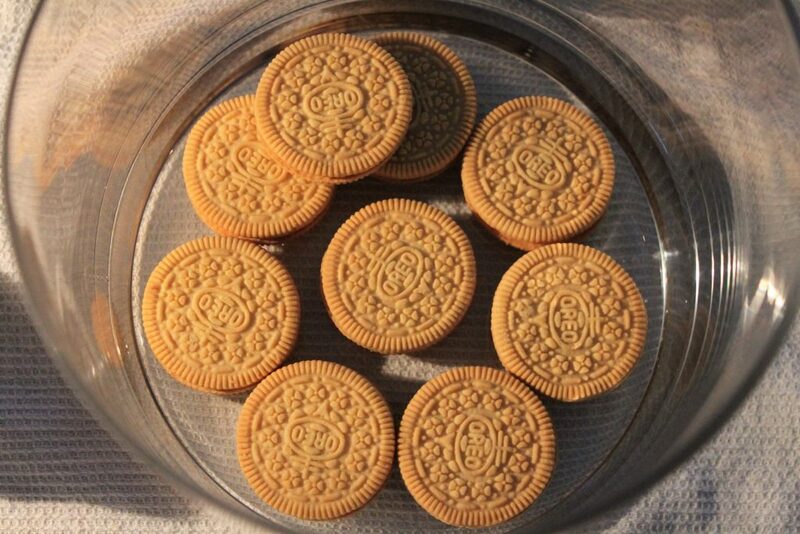 Start by laying the cookies flat around the edge of the jar … And then continue on with the next row sitting the cookies over the area where the two cookies below touch – like laying bricks! It’s worthwhile noting here, that your top row should be laid slightly further in from the edge than the other rows – it will make putting the lid on much easier! 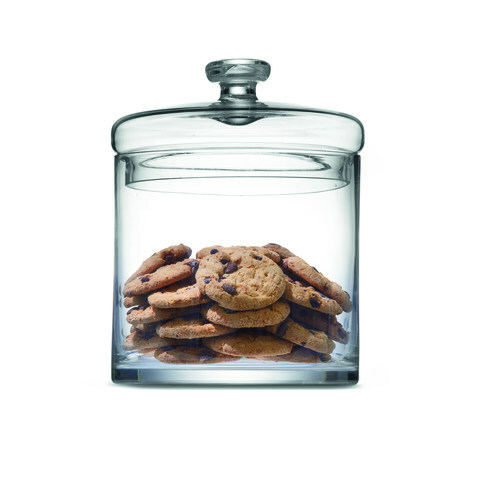 And just like that in under 10 minutes, you’ve got the most wonderful cookie jar! 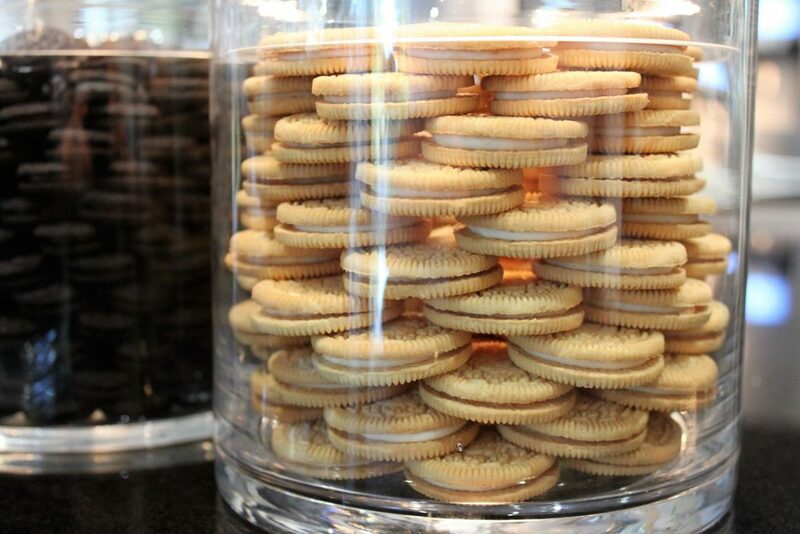 We couldn’t stop at just one jar, so we made a Chocolate Strawberry one and another one using the mini Oreos. That jar required 3 boxes of the Mini Chocolate Oreo 10 packs (approx. $3.77 box) which filled it perfectly with a hollow centre. Obviously remember, this is food, so make sure if you’re using it for decorative purposes, that you check it and replace it each month or so! 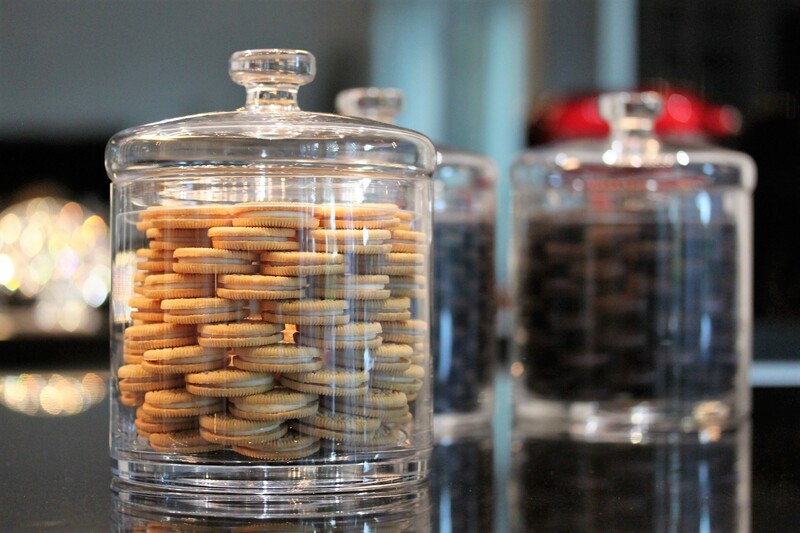 But, if you’re like us, a jar that looks this delicious isn’t going to last long!! 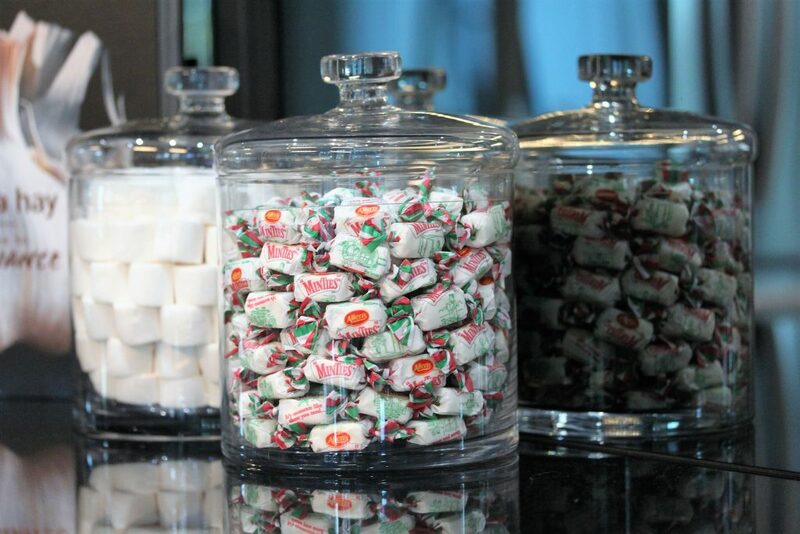 We think these jars would make the best gift! 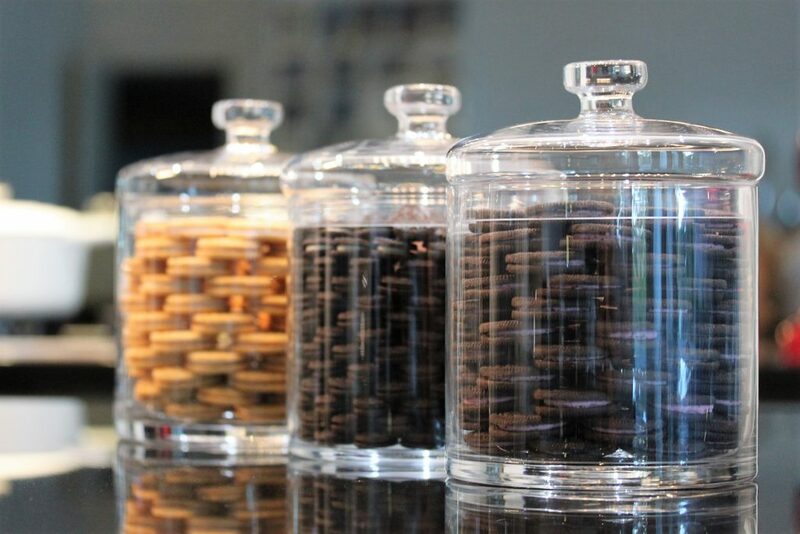 Who wouldn’t want to receive a jar full of goodness like these? Pop a gift tag and a ribbon and they’re ready to go! 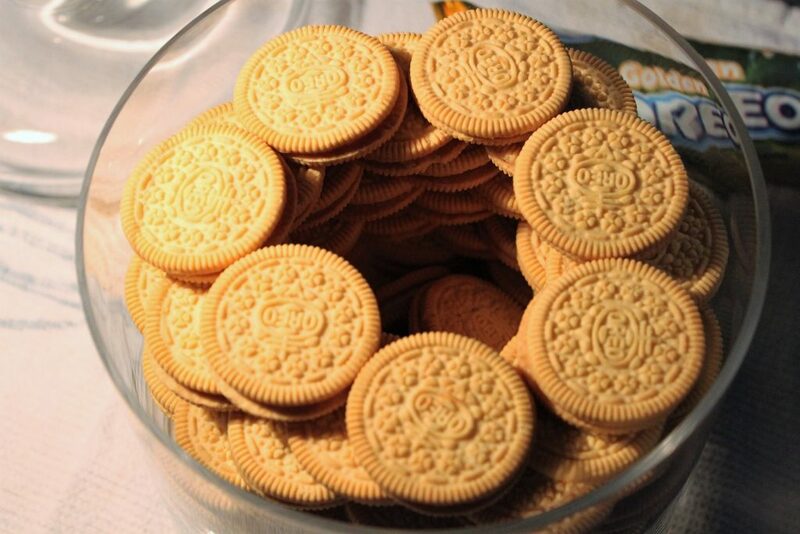 You also aren’t limited to cookies! We’ve done a few with Minties – (this took 2 family sized bags) and marshmallows (this took 2 x 300gm bags with the white being used on the outside, and the pink stacked in the middle). 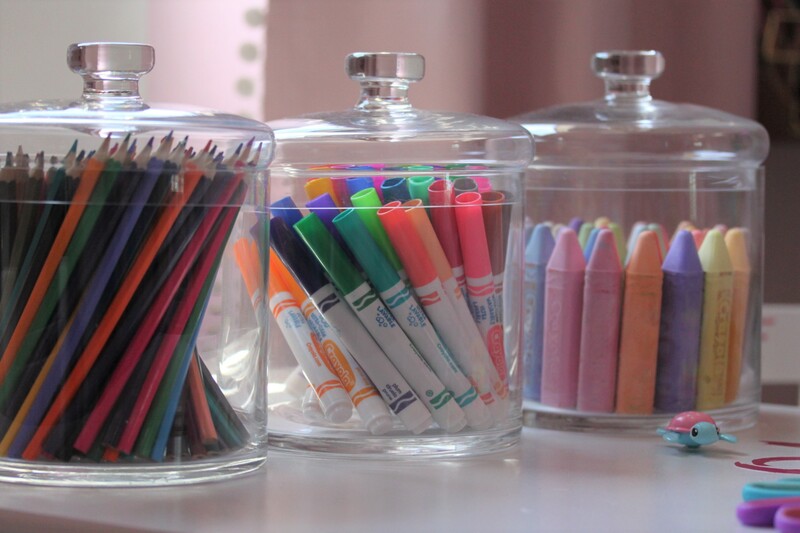 And of course, as you saw in our Eloise Room these jars can be used or gifted with children’s art supplies in them!! Make sure you tag us in your photos if you use your Straight Jar in your styling – we’d love to see them! Don’t forget you can find us on Facebook here – we often post easy styling tips on there!